MomsRising.org | Tell Congress to Support SNAP! TELL CONGRESS TO SUPPORT SNAP! Right now, Congress is about to vote on a proposal to make big cuts to SNAP (the Supplemental Nutrition Assistance Program - also known as food stamps). Nearly two million people--many of whom are children--would be bumped out of the program. This is unacceptable. Moms and dads must stand up for kids! 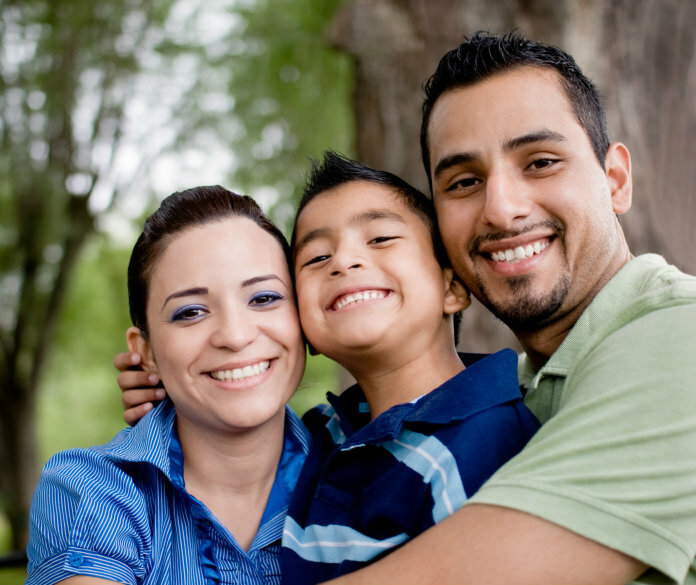 Tell Congress SNAP is a critical program for kids and families struggling to make ends meet! Please sign and share today! It’s a shocking fact that nearly one in five children live in households that can’t consistently afford enough food. Proposed cuts to SNAP would bump nearly two million people out of the program. Guess who would be hardest hit by this move? Working families with kids and older Americans. And as many as 210,000 children would also lose access to free school lunches and breakfasts because eligibility for those meals is tied to their family's receipt of food-stamp benefits. This is unacceptable. SNAP is a critical program for families struggling to make ends meet! Congress should not balance the budget on the backs of kids! There’s too much to lose. Please protect and strengthen SNAP. We'll keep you posted via email on this and other MomRising.org campaigns. Enter email addresses separated by commas. Click here to preview or add a note to your message to friends. I just urged members of the U.S. Congress to protect SNAP (the Supplemental Nutrition Assistance Program). Will you join me? SNAP provides critical support to families and children in need. Together, we're a strong voice for women and families! Hunger does not discriminate. Take, for instance, Lorraine. A mother of two young girls ages 4 and 7, Lorraine had fallen on some hard times when the company that employed her folded. She couldn’t find a job and couldn't pay her bills. She was able to feed her daughters thanks to SNAP, the Supplemental Nutrition Assistance Program, also known as food stamps. Lorraine isn't alone in her struggle. Raising a family is costly. At a time when women comprise the majority of minimum wage workers, a recent Gallup poll suggests that a family of four needs nearly $60,000 a year to stay financially afloat. Families on SNAP earn much less than $60,000 a year. In fact, in order to qualify for SNAP food assistance, a family of four can make no more than $23,550 a year. Without SNAP, many families would have to choose between eating and paying an essential bill, like rent. But SNAP is in trouble. Some in Congress are proposing severe cuts to SNAP even though it's proven to be a critically important bridge for families and for our economy. SNAP bridges the gap caused by unemployment, low wages, retirement, divorce or the death of the primary provider, providing food assistance that can help a mother feed her children, at least until she can recover from her circumstances. Last year, it helped feed over 47 million Americans. Yet, some in Congress want to cut this safety net! We cannot stand by and let families fall through the cracks. Moms and dads must stand up for all families and tell Congress to do the right thing! The current proposed cuts to SNAP would take away 14 meals per month for a family of four, meals that the Food Plan states should only cost $1.70 to $2 per meal . That’s a severe loss for families, particularly in light of the very low amount of basic SNAP benefits. How grim are these proposed cuts to SNAP? * SNAP is a critical economic security program for families during economic downturns. It reaches the neediest and most vulnerable people in our country. About 83 percent of SNAP households have a gross income at or below 100 percent of the poverty guideline ($19,090 for a family of three in 2012). And about 72 percent of SNAP recipients live in households with children. * SNAP prevents child hunger, fights poverty and improves health. SNAP lifted 3.9 million Americans above the poverty line in 2011, including 1.7 million children and 280,000 seniors. Extensive research shows that SNAP improves dietary intake and health, especially among children, and with lasting effects. * SNAP benefits create markets, economic growth and jobs in urban and rural communities – at grocers, farmers’ markets, military commissaries, manufacturers and farms. And each $1 billion reduction in SNAP eliminates 13,718 jobs. Use your voice to tell Congress these cuts are unacceptable! Tell Congress to do the right thing, the responsible thing, for children and families facing economic hardship. Families will lose if we don’t rise up and send a message to Congress now that the proposed severe cuts to SNAP are unacceptable. Hartline-Grafton, Heather. (2012). SNAP and Public Health: The Role of the Supplemental Nutrition Assistance Program in Improving the Health and Well‐Being of Americans. Food Research and Action Center.